Part hair down the middle and secure both sections with a hair band. 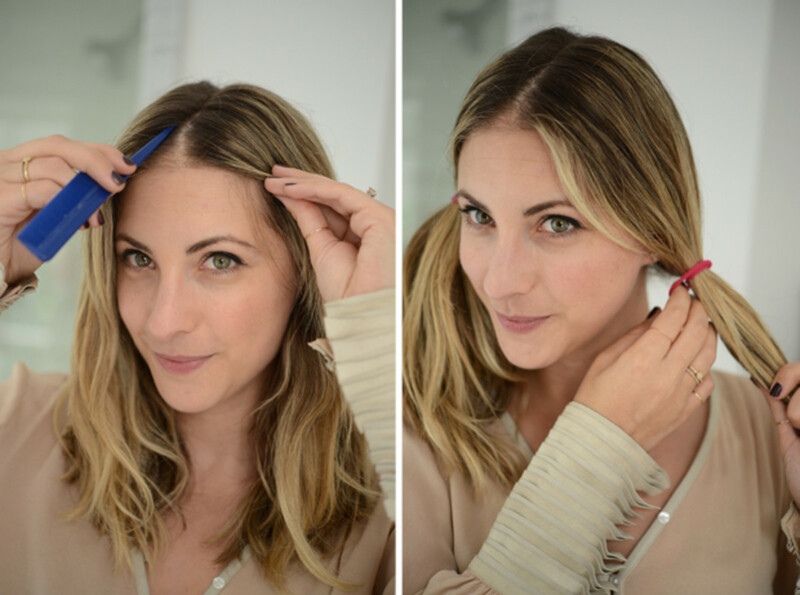 Remove the first hair band and divide hair into two equal sections. 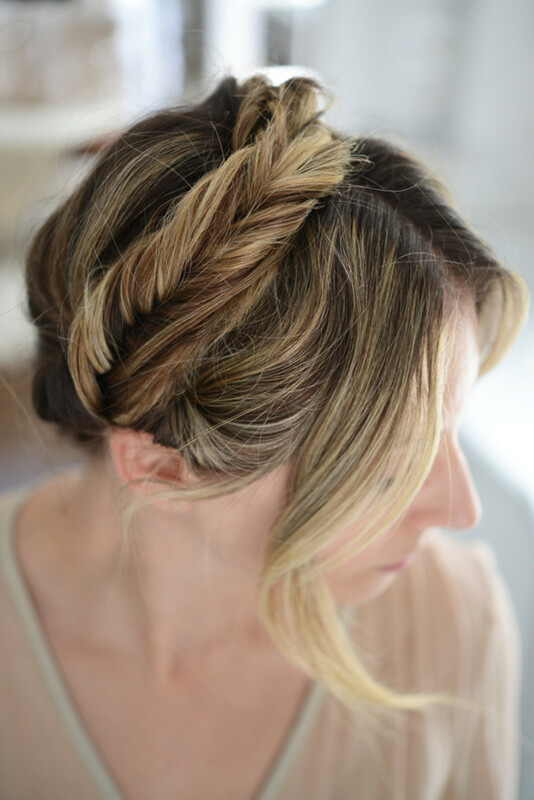 Starting from the back of the head, begin the fishtail braid. Continue braiding until you get to the bottom and secure with a clear rubber band. 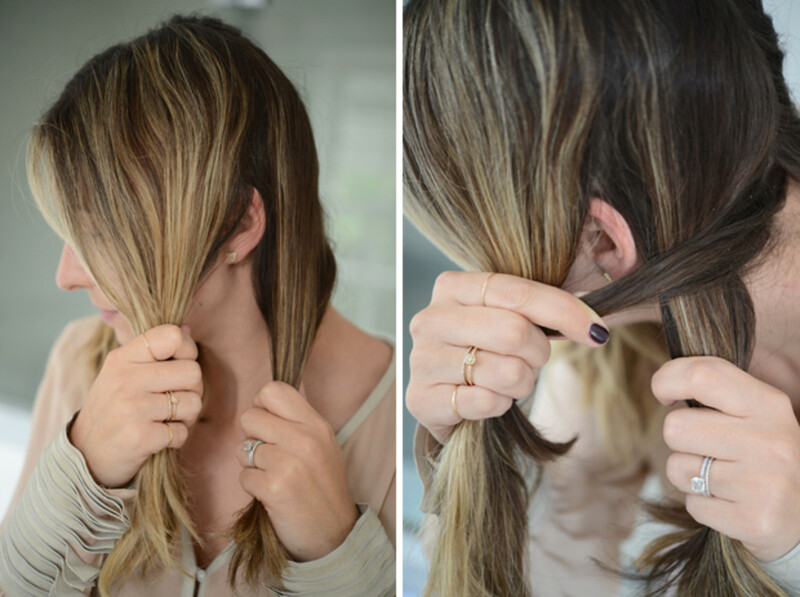 Repeat on the other side so you have two fishtail braids. 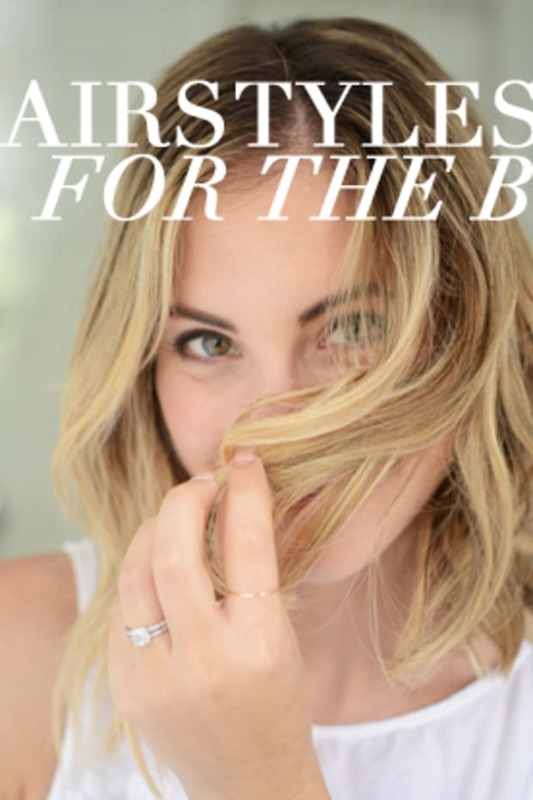 Bring one side over the top of your head and secure with two criss-crossed bobby pins. 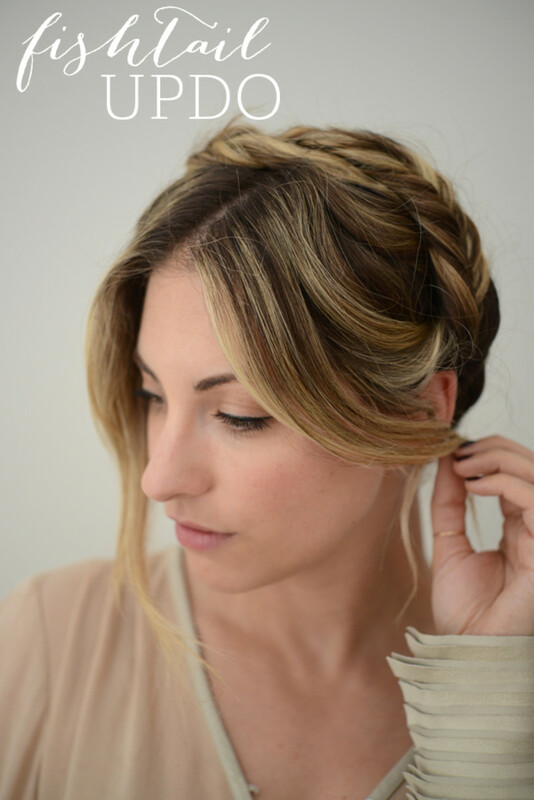 Take the other braid and bring it across your head, making sure to tuck the ends under the first secured braid. 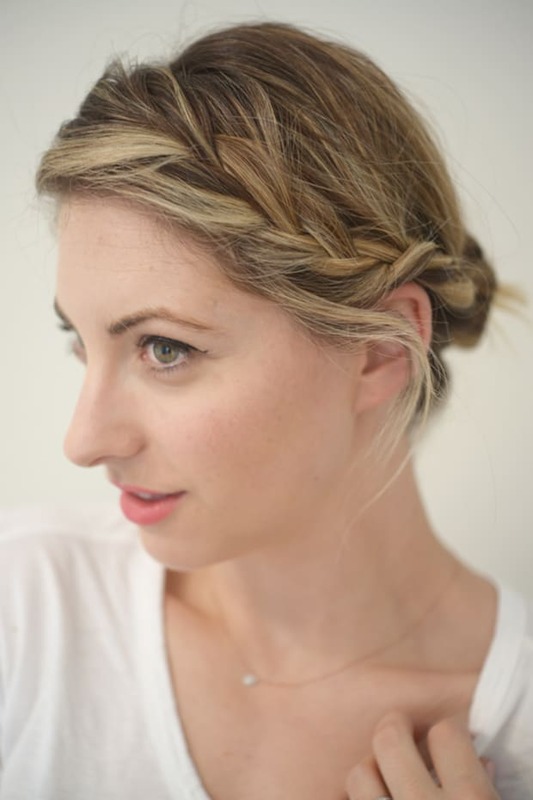 Slip the bobby pins under the other braid to secure. 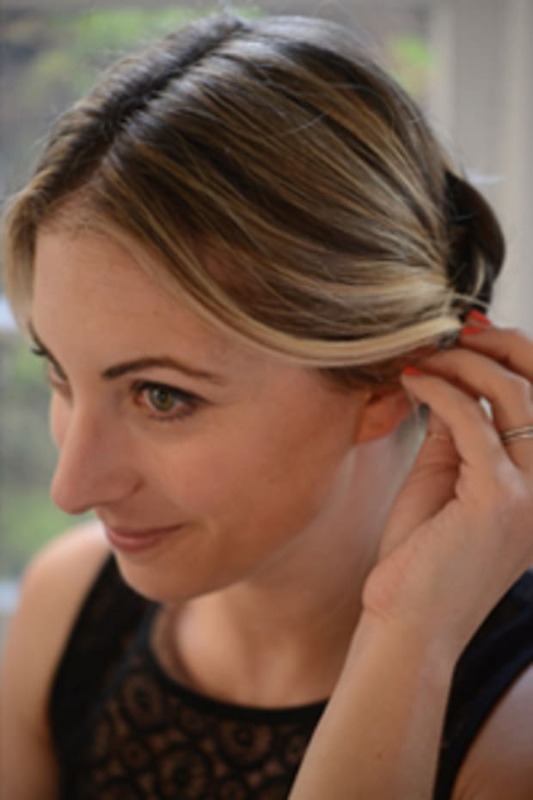 Lastly, pin any loose hairs or bumps with bobby pins.